It’s hard to believe, but Spring Break 2019 is just around the corner! Generally speaking, Spring Break 2019 falls on the week of Monday, March 18 through Sunday, March 24. It may vary from school to school for kids and others may take their “spring break” over Easter weekend, but technically it is the week following St. Patrick’s Day this year. Sometimes this week can sneak up on us and leave us no time for planning a getaway. If that’s the case for you most years, check out this list of the best Spring Break destinations for 2019. The classic family spring break destination of Orlando, Florida tops our list for 2019. You just cannot beat this city when it comes to adventure and entertainment for families! Disney is the obvious leader in this relm, but adrenaline junkies can find a plethora of theme park options outside of Disney as well. 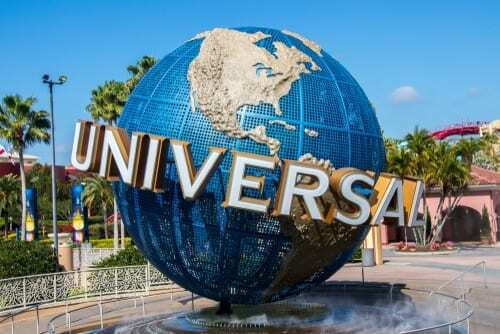 My favorite is Universal Studios. We recommend you check out Harry Potter World if you haven’t already. Even if you have, Universal has been growing this section of their park for years now so you’re bound to find something new. Don’t forget to have a butter beer! While you’re in the area, be sure to stop in at Islands of Adventure as well. This is especially key if you are going on a hot day, which is possible in mid-March in Florida. Islands of Adventures has tons of water-focused rides to cool you off. If you procrastinated a passport update this year, the US Virgin Islands is your ticket to the Caribbean. In fact, the US dollar is the currency here as well so it super convenient to travel here. The island of St. Thomas is especially great for families, with great beaches, shopping, and other tours. We recommend you visit Coral World Ocean Park. Here, kids over 80 pounds are able to walk along an underwater trail near a coral reef with an oxygenated helmet. Cool! If you want to avoid the college spring breakers this year, opt for the less densely developed Riviera Maya. It is just 30 minutes north of Cancun but much more family-focused. There are tons of family-friendly all-inclusive resorts here to choose from. In addition, give the kids a history lesson with a tour of the magnificent Mayan ruins or explore the underground cenotes and bat caves. While not exactly breaking the mold with this one, Miami is a great destination for those that aren’t exactly sure what they want to do. If you are just looking to have a good time in some warmer weather, then Miami Beach is for you. While there are crowds and wild nightlife along the main strip, there are also lots of intimate and romantic resorts to escape to. Plus, you’ll find tons of culture and live music everywhere you go. Similar to Miami, there is a ton of nightlife here but unlike Cancun, there are plenty of fun bars and restaurants to party at where you won’t be forced to take a belly shot. We promise! If you are worried about this, ask your Enchanted Travel agent for a list of hotels that have a “No Spring Breakers” policy. You’ll be surprised to find most of the 4 and 5 star resorts here do not allow large groups of college age kids to stay on their properties, specifically during spring break time. If you want a super unique Mexico experience, stay at a resort near the marina. You can walk to bars, take a boat out to El Arco, and more. Like Miami and Cabo, you can definitely find a a party in New Orleans if that is what you’re looking for. It has so much more to offer than that, however. It is very romantic, with the charming Mississippi River set against the glittering city lights. In addition, there are tons of amazing restaurants here. You could spend your entire time strolling the streets and eating your weight in New Orleans cuisine. Las Vegas is infamous for party and debauchery, so it’s a great place if your group is looking for that. If not, they have some of the best pools and spas in America. Choose your party here, with fist-pumping nightclubs or bottle-service only lounges. In addition, there are tons of amazing shows to see here. Negril is known for its long stretches of white sandy beach. It is also known for a good time and the friendliest locals you’ll find anywhere. Be sure to check out Seven Mile Bay by day and drink as much rum punch as you can handle by night. This is a great destination for groups because there are tons of all-inclusive resorts that cater to groups. Don’t miss out on live reggae music and drum performances here. Puerto Vallarta is often overlooked for destinations like Cabo and Cancun, but it is just as beautiful and fun. The downtown area is filled with historic white-washed buildings and the turquoise sea is set against a rugged mountain skyline. There are tons of water sports here if your group isn’t here just to party. Scuba dive with manta rays off Isla Marietas, boat around Los Arcos’ reefs or parasail off of Playa Los Muertos. At night, head to the salsa clubs or rowdy local bars. In addition, Puerto Vallarta is arguably Mexico’s most gay-friendly destination!